Our experience when it comes to custom concrete projects is unmatched. Issues related to yard drainage, french drains, excavation, or landscaping hardscapes, we fix them all. Still not convinced? Please take the time to look at our amazing work from the past. We’ve been doing concrete slab repair in Oklahoma City for over 40 years. Our concrete staining OKC team has the necessary experience required to do concrete repair effectively and, more importantly, safely. We’re well aware of the weather conditions that OKC residents have to deal with. It doesn’t matter if it’s a concrete patio in your backyard, or a front walkway, improperly repaired cracks can pose a safety hazard. Moisture getting beneath these areas can destabilize them, and freezing conditions can easily displace any concrete slab, regardless of size. The people here at Bill’s Custom Concrete have the know-how to do repairs right the first time and prevent further damage from occurring. Why are we perfect for your next project? We have the best warranty in Oklahoma City metro, Edmond, Moore, Norman, and all of Oklahoma. An excellent reputation with the Better Business Bureau so that you can have confidence in using a reliable and dependable company. Many references and testimonials so that you can check us out and be certain that you’re getting a first class job and first class service. 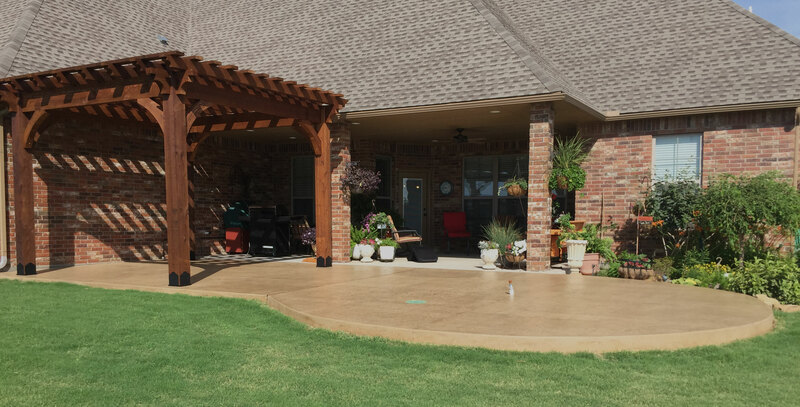 Bill’s Custom Concrete has been serving the Oklahoma City Metro area since 1976, so that you can trust a company that is knowledgeable about the best way to do your concrete work or solve your yard drainage problems. Many completed projects for your inspection so that you can actually see what you’re getting. We are licensed and bonded so that you can be sure that you won’t have any problems with the city. Looking for Concrete Contractors in Oklahoma City? Bill’s Custom Concrete Can Help! 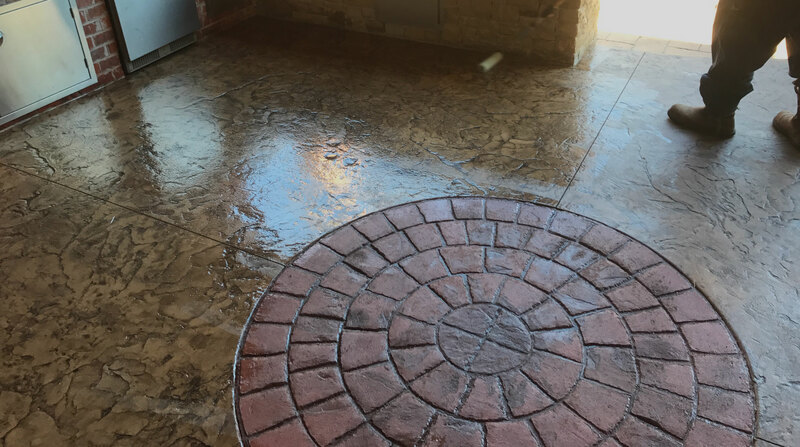 Are you looking for someone who can do stained concrete work in Oklahoma City and Edmond OK? Maybe you’re planning on adding a patio, or you’re looking for an answer to your constantly soggy backyard. Here at Bill’s Custom Concrete, we specialize in home improvement concrete and yard drainage solutions. 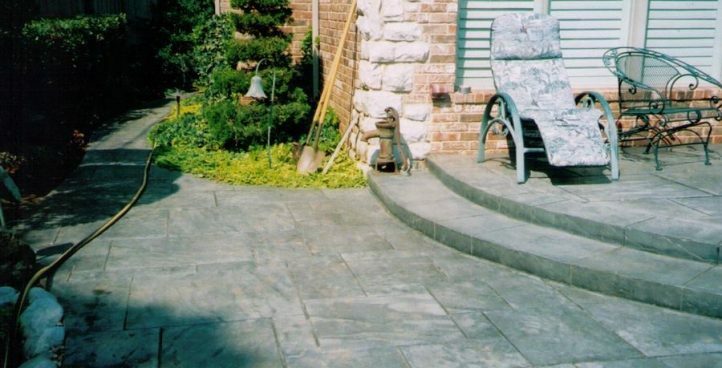 Whether you’re looking for a driveway, sidewalk, steps, or even a complete foundation, we can create whatever you need. 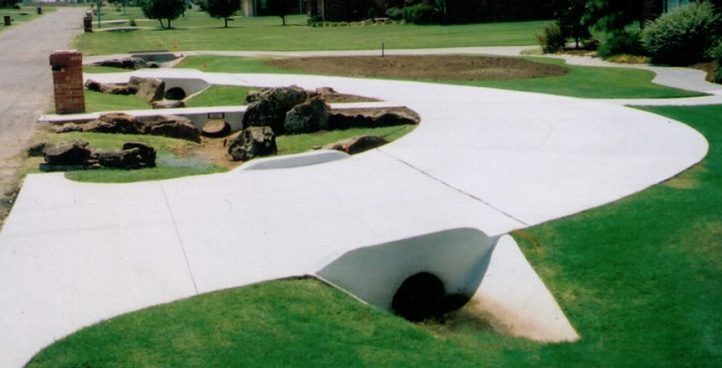 Our concrete suppliers Oklahoma City team can build you a complete yard drainage system, resurface or waterproof existing concrete, and provide a variety of other services as well. 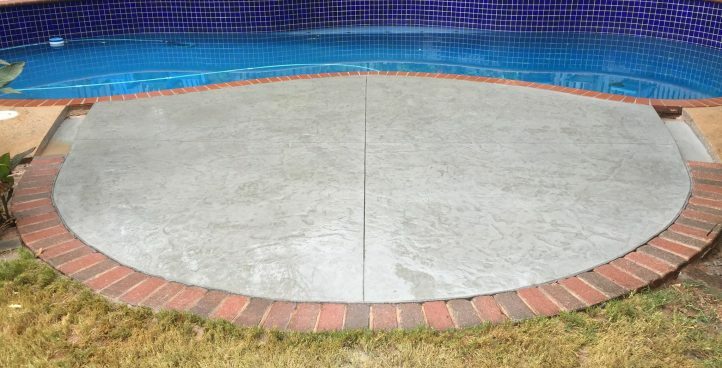 We also offer stamped, patterned, and colored concrete so you can get the look you want. “Your home is one of your most valuable assets and investments, and you certainly want to take care of its beauty and maintain it in the best possible condition for years to come. I wanted to write a review for Bill’s Custom Concrete & Yard Drainage for the money they saved us with a yard drainage issue that we had in 2015 during the May and June floods that Oklahoma City experienced. I was living at a condominium at the time and during the May 24th floods our parking lot had almost 1 foot of water standing at one end and one car was actually damaged from the water that rose up into the car. A Foreman for Bill’s came out and did a very thorough analysis of the drainage from our roof, the parking lot and drainage pipes out to the street. We received a quote from Bill and a couple of other companies for additional drainage pipes that could handle such large volumes of rain and the quotes from a few companies were in the $9k to $12k range. Bill later came by himself and was able to determine from the facts I had given him that there may be a drainage blockage issue from one of our neighbors. Sure enough, we found where are neighbor’s parking lot had their entire parking lot drain blocked and that was causing flooding in our parking lot. Bill saved our condo association about $10k by looking at all the possible issues for the flooding. Bill is a very honest and professional yard drainage expert and you should call Bill’s Custom Concrete & Yard Drainage if your property has had issues with flooding in the past. 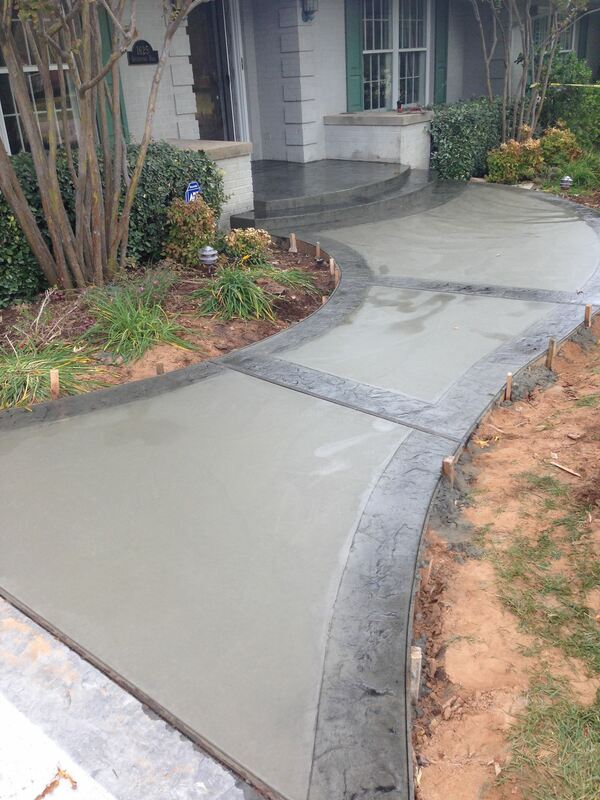 Do not hesitate to hire Bill’s Custom Concrete for any concrete work you are considering. Every contact my husband and I have had with Bill and his employees has been a positive experience. We were very specific concerning what kind of pour we wanted in various areas around our house and, from the very beginning, everything was handled in a professional manner and every detail was properly addressed. We ordered colored and stamped concrete, and it looks just the way we wanted. 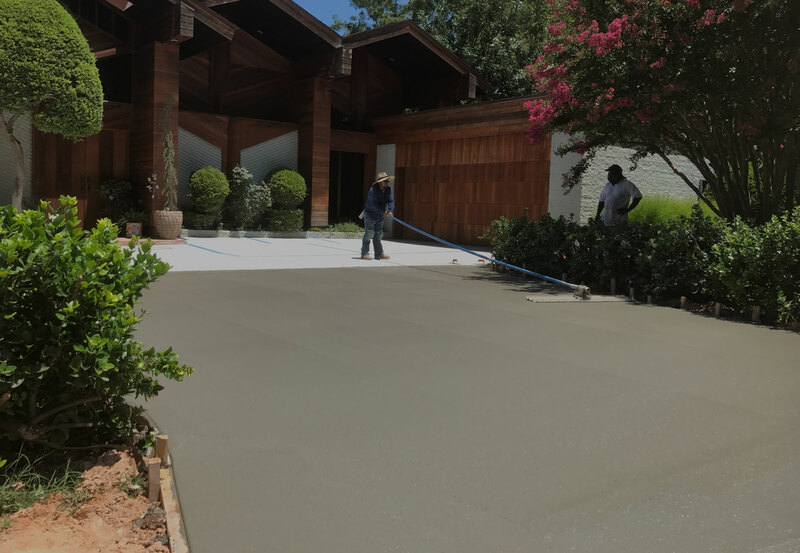 Not only is Bill competitively priced, but once the job was completed, the cleanup was so good that you couldn’t tell that you just had concrete poured. In a few more weeks we will have a sealer applied to the new concrete and it should look spectacular. Thank you Bill for your excellent work. Very very nice work! They widen my driveway and cleaned up the area very nicely. They didn’t take very long and done a excellent job. Bill was very nice and his crew all so. The crew was very friendly and told me how long it would take to dry .I have had a lot of complements on my driveway and I am very happy with it. I hope to use Bill’ Custom Concrete again. We hired Bill’s custom concrete for some French drain repairs on my mother’s home. They were always very prompt for scheduled meetings. They took something that could have been a very costly problem and laid out a repair plan to minimize the overall cost. Once the repairs were completed we have had no issues with her French drains. We were extremely happy with their service! I would recommend them to anyone. We were very impressed from the beginning of the process to the completion of the driveway project. Bill’s team was very friendly and took great care of us. His method and timeline may take longer than other companies but that’s because he does it right, doesn’t rush the process and warranties his work for 10 years. We are thrilled with the outcome. There are three primary reasons why Bill’s Custom Concrete is the best in OKC; experience, integrity, and value. We’ve been in the concrete business since 1976. In that time, we’ve created thousands of driveways, patios, drainage systems, and a myriad of other structures across the entire Oklahoma City area. You don’t stay in business that long, and have that many customers, without offering a quality product. 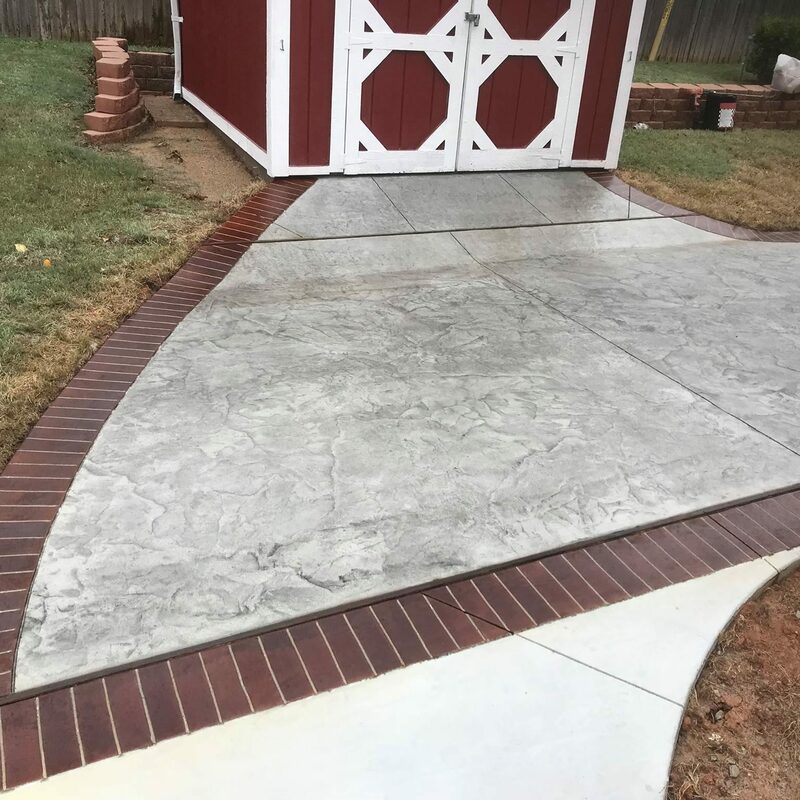 Our Oklahoma City custom concrete overlay creations provide you with highly durable, long term solutions, designed to fit your specific needs. We proudly stand behind everything we build. When selecting a concrete company, choose the one that’s been serving Oklahoma City for over four decades. Choose the one that offers the greatest variety of options and solutions, the one that stands behind its products. Choose the best, Bill’s Custom Concrete.